That's right, folks: launch day is here. The official release date of Tyler's new novel, No Good Brother, is February 22, and to mark the day The Borough Press is teaming up with Waterstones to host an evening of reading, wine, and - hopefully - Tim Horton's donuts. The venue is Waterstones The Hayes in Cardiff city centre, and doors open at 6.30 for readings at 7-ish. For reasons of space this one has a guest list, but it's not exclusive by any means (that would be very un-Canadian, after all); there are a few spots still available so if you're interested in coming along fire an email to Tyler's uni account at KeevilT@cardiff.ac.uk. Either way, don't worry: this is just the beginning and in a month's time, the official No Good Brother(s) music and reading tour kicks off at 8 venues across Wales and the Southwest of England - so we hope to see you at one of those events, with more details to follow soon! For fans of ice hockey, maple syrup, tuques, loonies, and all things Canuck: it's (almost) time to get your skates on and head on down to Tiny Rebel, Cardiff, for a night of Canadian music and Literature. The headline act is brilliant roots singer/songwriter, Steph Cameron, who hails from Saskatoon, Saskatchewan, and is touring her sophomore album, Daybreak Over Jackson Street. She'll be supported by Darren Eedens & The Slim Pickin's, and on the literature side of things Tyler will be joining poet and short story writer Jonathan Mulcahy-King. Tyler will be reading from No Good Brother, released next month in the UK and Canada. It's shaping up to be a barnstorming, bootstomping night - so get down to Tiny Rebel tomorrow for doors at 7.30 p.m. We'll see you there! Next week Tyler will be returning to Aberystwyth, where he studied for his MA and PhD in Creative Writing. 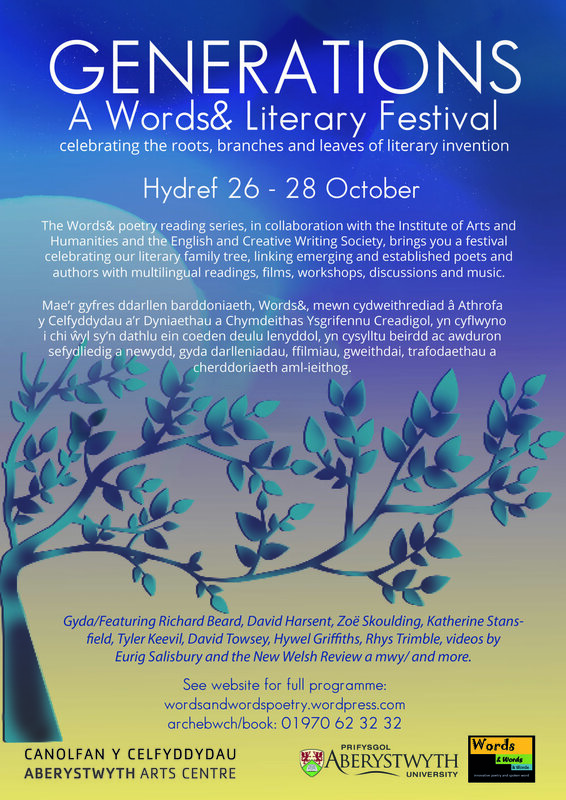 Aberystwyth University's Creative Writing department, and the Creative Writing society, is hosting a festival on the theme of 'generations'. Tyler will feature in an event on Saturday, October 28th, along with fellow Aberystwyth alumni Katherine Stansfield and David Towsey, entitled Rising Stars. They will be reading from their own work, and discussing their artistic influences. The event starts at 5 p.m., and tickets are £6-8 (available to buy in advance here): so if you're in the area come along, and we'll see you there!